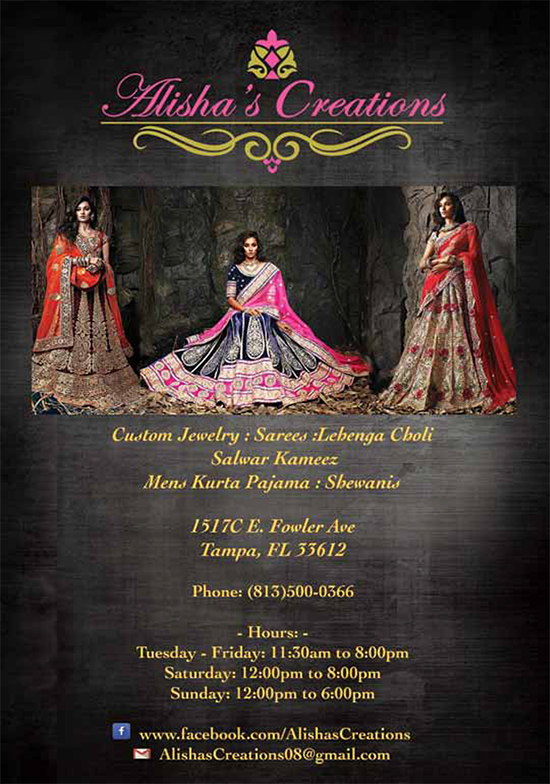 Learn more about one of the 2016 Tampa MyShadi Bridal Expo Fashion Sponsors below. Alisha’s Creations has a young and fresh take on today’s fashions and guarantees the latest trends of Indian outfits from all across India for men and women. Clothing aside we also carry one of the largest collection of custom imitation jewelry in Florida. We work with each one of our clients making sure the piece works in every aspect, from the design to color to fit of the garment to the perfect accessories. Alisha’s creations is a one-stop shop, we provide ready to wear and custom clothing, along with imitation jewelry, and designer handbags all available at affordable rates. 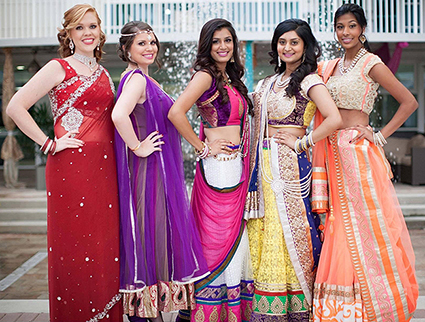 Alisha’s Creations is the name you can trust and adore for all your requirements of traditional fashion. We are confident of our quality and service. All our customers are near and dear to us and we want them satisfied and to look their best.